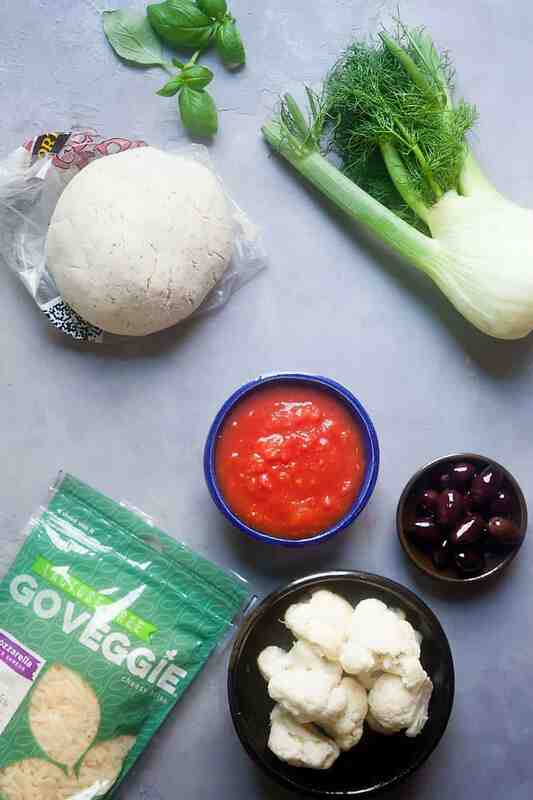 "Cheese on Bottom" Pizza with Fennel, Cauliflower, and Olives (Gluten and Lactose Free) | Healthy. Delicious. Putting the cheese on the bottom of your pizza instead of the top keeps the crust nice and crisp! This tasty version is topped with lactose free mozzarella, fennel, cauliflower, and olives for a ton of flavor. I created this recipe for my client GO VEGGIE. As always, thank you for supporting the brands that keep me inspired in the kitchen. Let’s talk about pizza – even though we eat pizza almost every week, it’s been almost two years since I made one (Chorizo Pizza with Corn and Zucchini) for the blog! Everyone knows that New York City is famous for its pizza, and for good reason. Here upstate, we do things a little differently. Two of my favorite pizza variations are the cold slice and “cheese on bottom,” also known as COB or Grandma pie. The first isn’t at all what it sounds like – the pizza is in fact piping hot, but then has a handful of cold shredded cheddar piled on top. It sounds weird, but it works. Cheese on bottom is closer to what it sounds like – instead of putting these cheese on top of the sauce, it gets tucked underneath. Again, it works. Since the sauce doesn’t come into contact with the crust on a COB pizza, the crust doesn’t get as soft. It’s especially great if you like a saucy pie, like I do. And, since the cheese in underneath everything else, it sticks to the crust better and doesn’t all go sliding off when you take a bit. Plus, it’s just kind of fun. Cooking pizza in a cast iron skillet is something I’ve done here before – I love the way they come out. The bottom gets super crisp and almost shatters when you bite it. I especially love using this method for gluten free crusts, which can tend toward the drier side. Crisping it in a little oil on the stovetop before finishing it in the oven helps make it intentionally crisp and holds it together better than just baking it does. I piled tons of GO VEGGIE lactose free mozzarella directly on top of the crust, then spooned some quick homemade sauce over the top. 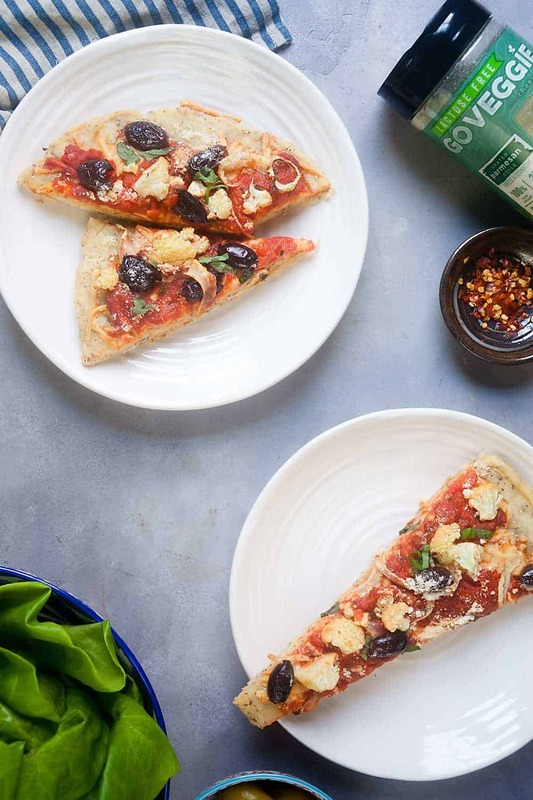 The lactose free shreds melt just like regular cheese, and we honestly couldn’t even tell a difference in flavor on these pizzas at all. It also has less fat and calories and just as much calcium as dairy cheese does! 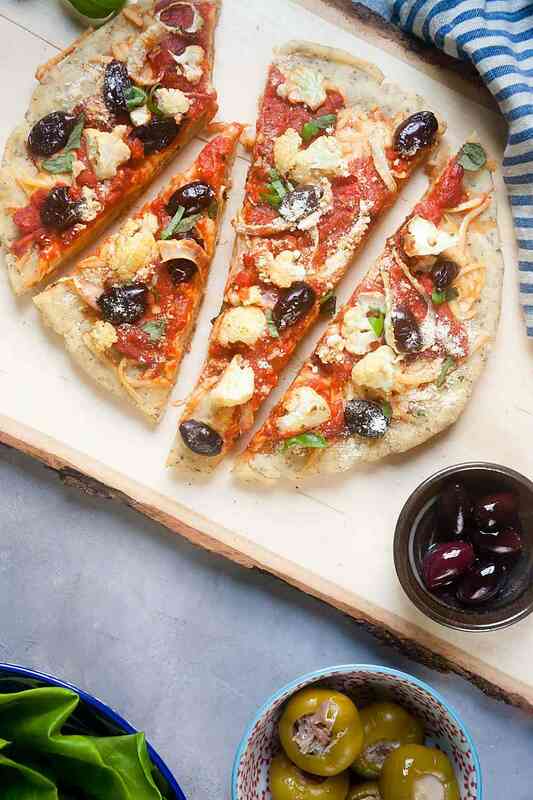 Once the sauce was spooned on, I topped the pizza with thinly sliced fennel – I love how it give the pizza a sausage-like vibe – and briny kalamata olives. I also threw on some cauliflower for good measure. 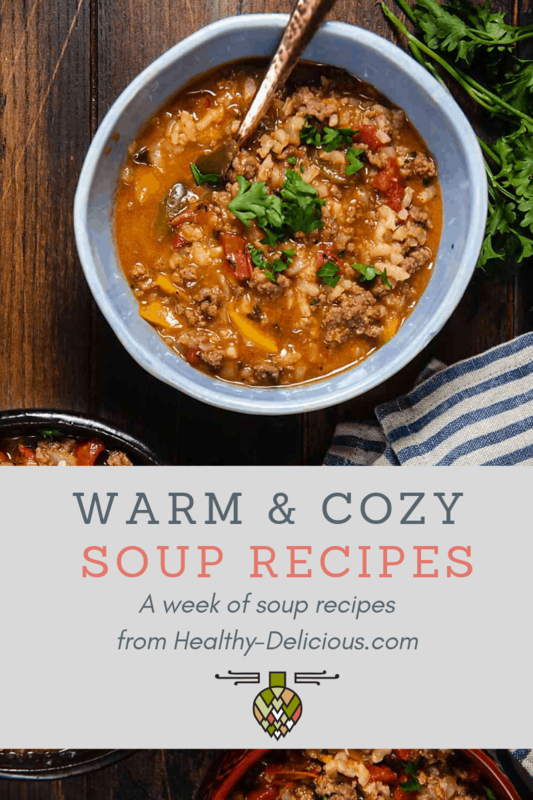 You can’t taste it at all, but it adds some texture and extra nutrients. The pizza bakes right in the same pan that you start the crust in – it takes about 20 minutes for the toppings to cook through and the cheese to melt. Pull it out of the oven (don’t forget to use a pot holder!! 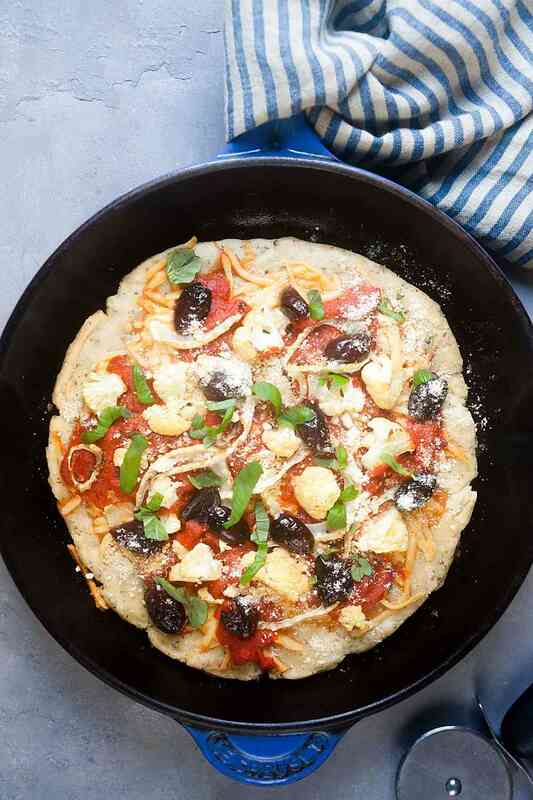 ), top it with loads of GO VEGGIE lactose free parmesan topping and fresh basil, and you’re good to go! Most prepared pizza dough comes in 16-ounce balls, but this recipe makes a small pizza that only needs 8 ounces. Freeze the extra dough, or use it to make a second pizza! Combine the crushed tomatoes, Italian seasoning, and red pepper flakes in a small saucepan set over high heat. Bring to a boil, then reduce heat to medium and cook 10-15 minutes, or until thickened. Coat your hands with olive oil and stretch the pizza dough until it's the same size as a 9-inch cast iron skillet. Heat 1 tablespoon olive oil in a 9-inch skillet set over medium heat. Place the dough in the pan and cook until the bottom is golden brown and the top looks dry, about 5 minutes. Remove the pan from the heat and top the crust with mozzarella. Spoon the sauce over the cheese, then top with fennel, cauliflower, and olives. Transfer the pan to the oven and bake 20 minutes. Carefully remove the pizza from the oven and top with parmesan and fresh basil. Do you make your gluten-free pizza dough or do you buy it somewhere? If you buy it, will you tell me where? I buy it – I love the Portland Pie Co dough (I get it at Hannaford) but there are there are others that are great too. Sometimes they’re in the freezer section, so be sure to look there! 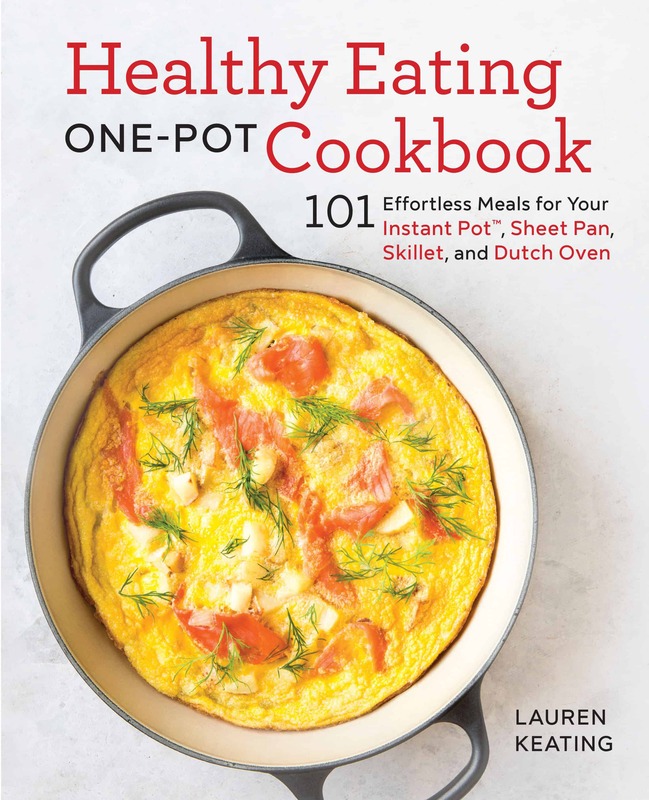 Love that it’s cooked in a cast-iron skillet!